Turkey on Monday said French President Emmanuel Macron will be unable to "break" its partnership with Russia, after he argued the weekend's air strikes against the Syrian regime had driven a wedge between Ankara and Moscow. 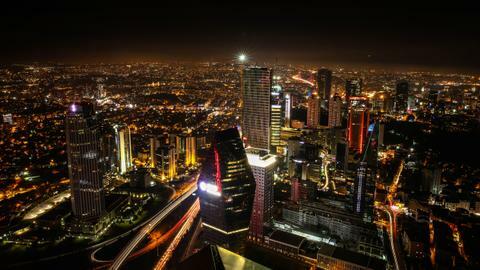 NATO allies, including France, have become wary of the flourishing friendship between Ankara and Moscow based on joint efforts to end the seven-year Syrian civil war. Stoltenberg hailed Turkey's position in NATO, which Ankara joined in 1952 with strong American support to anchor Turkey firmly in the West amid the Cold War. 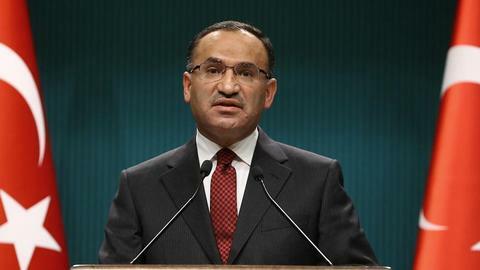 "Turkey really does a lot for our alliance, despite facing serious security challenges... Turkey is important for NATO and NATO is important for Turkey," he said. "That is the strength of this alliance: 29 allies, standing together, protecting each other," Stoltenberg added. In an interview with French television, Macron suggested that the weekend air strikes against Syrian regime targets had succeeded in engineering a split in the Russia-Turkey alliance. Russia and Iran are the key allies of Syrian regime leader Bashar al Assad and their military intervention in Syria is widely seen as helping him stay in power. President Recep Tayyip Erdogan on Saturday had welcomed the strikes, which he described as "appropriate" and strongly condemned the alleged chemical attack. 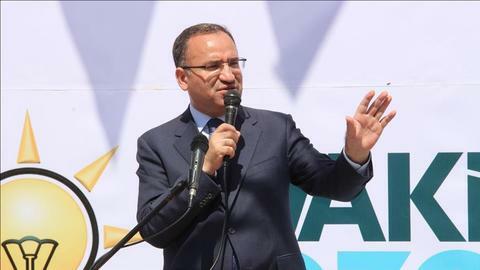 Earlier, Deputy Prime Minister Bekir Bozdag also hit back at Macron, saying our "Syria policy is not a policy of being on the same side or being opposed to another country." The dispute marked the latest outbreak of tension between Ankara and Paris after Macron offered to mediate between Turkey and the YPG/PKK, an offer furiously rejected by Erdogan. 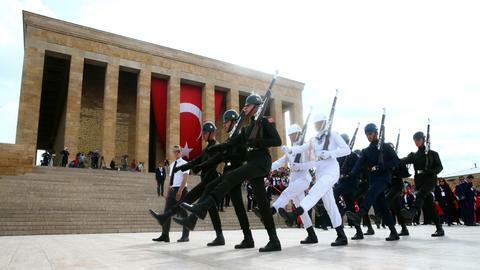 Erdogan said Monday he had told Macron on the phone that France should first take responsibility for massacres in colonial Algeria and also its failures over the Rwanda genocide before lecturing Turkey on Syria. "You (France) killed people there. Are you going to account for that?" he said in a speech in Istanbul. Kremlin spokesman Dmitri Peskov denied that the air strikes prompted a split between Moscow and Ankara, who reconciled in 2016 after Turkey shot down a Russian plane over Syria. 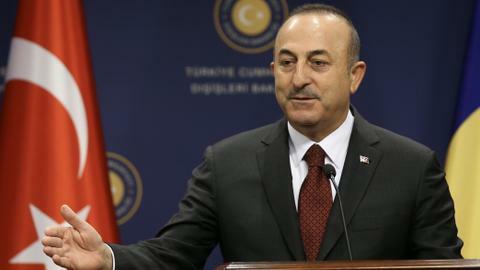 "It's not a secret that Ankara and Moscow's positions differ on a number of issues," he said. But he emphasised that such differences would have "no impact on the prospects of our cooperation in a number of areas," Peskov. 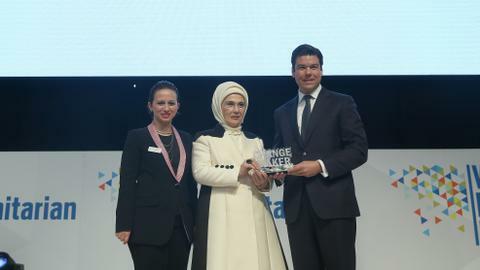 On a visit to Ankara earlier this month, Putin launched the construction of Turkey's first nuclear power station which is being built by Russia. Meanwhile, Turkey's Western allies are closely watching its deal to buy S-400 air defence systems from Russia which some officials have warned may not be compatible with Western technology. Also earlier this month, Erdogan hosted a summit on Syria with Iran and Russia in Ankara, the second such meeting after trilateral talks in November in the Russian Black Sea resort of Sochi. 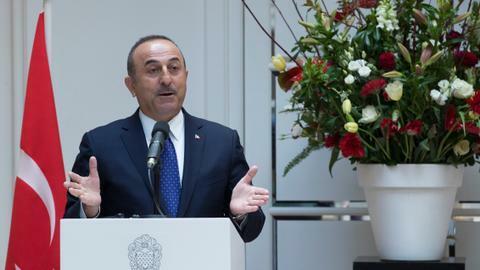 Cavusoglu said that Macron had expressed interest in attending the Ankara summit and Erdogan then sounded out Moscow and Tehran over the idea. But while Putin did not oppose him coming, Iran preferred to meet with just the three presidents and leave a broader summit for later, he said.